Come to TEPPANYAKI GRILL & SUPREME BUFFET for lunch or dinner and to enjoy our hibachi-style cooking. Our casual Japanese steakhouse in Columbia, Missouri, takes reservations and offers take-out. Select your meat and vegetables to be grilled by our teppanyaki chefs right before your eyes. 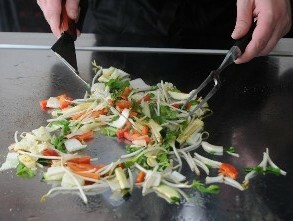 As a healthy alternative to other restaurants in the area, we use fresh ingredients for each meal. Make sure to enhance the flavor of your food with some of our savory sauces. Watch your food being cooked to your tastes at our Japanese steakhouse.